In 2007, around 27,000 people in the United Stated died from an unintentional drug overdose. That’s 1 death every 19 minutes (CDC). Nearly 3 out of 4 prescription drug overdoses are caused by opioid pain relievers, aka prescription painkillers (CDC). Prescription painkillers were involved in 14,800 overdose deaths in 2008. That’s more than cocaine and heroin COMBINED (CDC). Thanks to medicine, the common flu, ear infection, and cramps aren’t a death sentence. But, the same medicine that can make an excruciating migraine disappear can also cause some serious damage. One person’s medicine is another person’s drug. “Prescription drug abuse means taking a prescription medication that is not prescribed for you, or taking it for reasons or in dosages other than as prescribed” (drugabuse.gov). 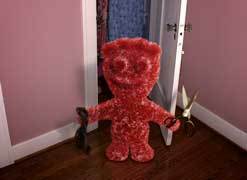 Painkiller abuse is like eating a Sour Patch Kid inside out. Painkillers decrease the perception of pain and can even create a feeling of euphoria. This can cause physical dependence, which can lead to addiction. Over time, a person who abuses prescription painkillers may require an even larger dose to achieve the feeling of euphoria or to combat withdrawal symptoms (CDC). This larger dose can slow down or even stop breathing. First, they’re sweet. Then, they’re sour. Sweet. Sour. Gone (literally). Prescription painkillers and alcohol are a cocktail for disaster. You won’t just black out and wake up the next day with a massive hangover. This cocktail can slow down or stop you from breathing and your heart from beating. Other health effects of prescription drug abuse include anxiety, paranoia, dangerously high body temperature, irregular heartbeat, and seizures. Use medication only as prescribed by your doctor. Follow the directions on the label when you take your meds. Bee sure to read all warning labels. Store your meds in a safe place. You don’t want your kid sister or brother to confuse them for Skittles. Dispose of unused, unneeded, or expired prescription drugs. Click here for information on safe disposal of medicine. For more information, visit Above the influence: Prescription Drugs and check out Dr. Sanjay Gupta’s video, Explain it to me: Addiction. Very nice post! Good and niche content..keep it up! So many people! And you hear about a celebrity dying from an overdose every other month. Totally! 2011 was definitely the year of OD’s.